Make her feel special with this beautiful stainless steel, sterling silver and cubic zirconia heart charm. The cubic zirconias on this charm add some extra special detailing and will sparkle beautifully as she wears it. The heart is the classic symbol of love, so spoil that special someone today and watch as she cherishes it forever. Create your own unique look with Nomination composable charms. https://www.johngreed.com/nomination-stainless-steel-silver-and-cubic-zirconia-heart-classic-charm 68639 Stainless Steel, Silver and Cubic Zirconia Heart Classic Charm https://www.johngreed.com/media/catalog/product/r/a/ra0535_0_1.jpg 34 34 GBP OutOfStock /Women /Women/Gifts/Recipients/Wife /Women/Gifts/Recipients/Girlfriend /Women/Charms /Women/Brands/Nomination /Women/Brands/Nomination/Nomination Charms /Women/Gifts/Occasions/Valentine's Day Gifts /Women/Gifts/Occasions/Mother's Day Gifts /Women/Silver Jewellery /Women/Gifts/Themes/Love /Women/Gifts /Women/Gifts/Occasions /Women/Gifts/Recipients /Women/Brands /Women/Gifts/Themes /Valentine's Day /Valentine's Day/Hearts /Mother's Day /Mother's Day/Hearts Make her feel special with this beautiful stainless steel, sterling silver and cubic zirconia heart charm. The cubic zirconias on this charm add some extra special detailing and will sparkle beautifully as she wears it. The heart is the classic symbol of love, so spoil that special someone today and watch as she cherishes it forever. 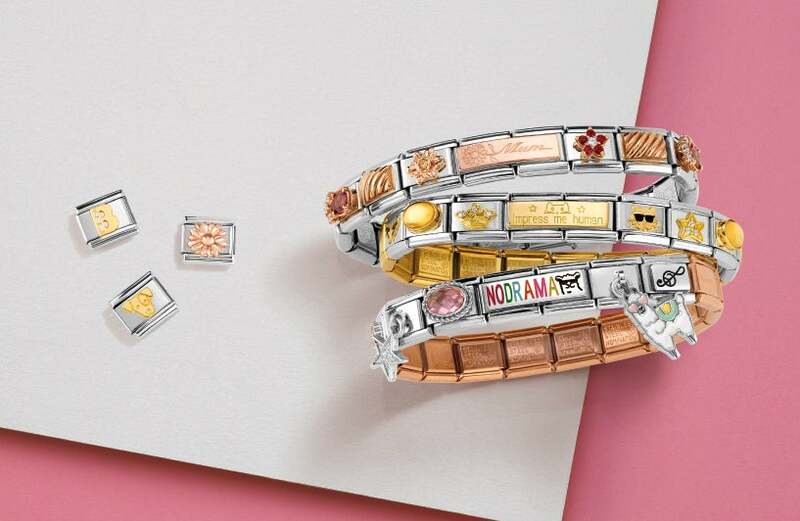 Create your own unique look with Nomination composable charms.